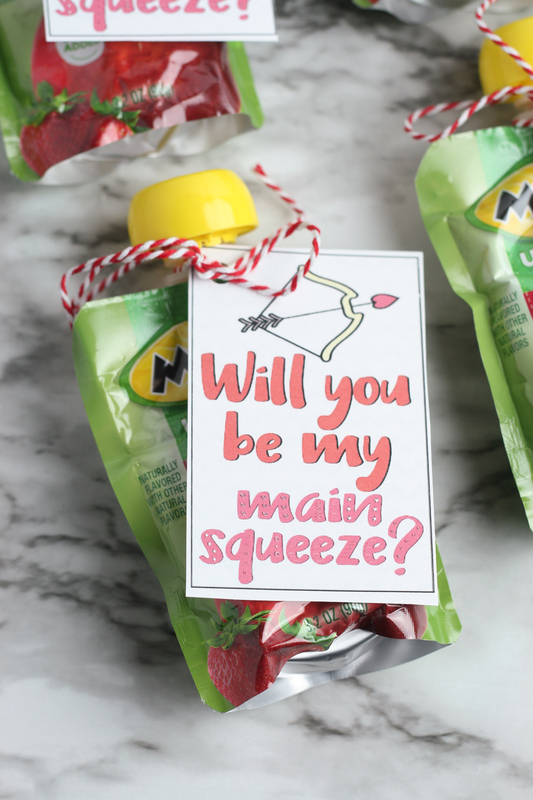 Bella is handing out these cute Will You Be My Main Squeeze Valentine Applesauce Pouches this year. 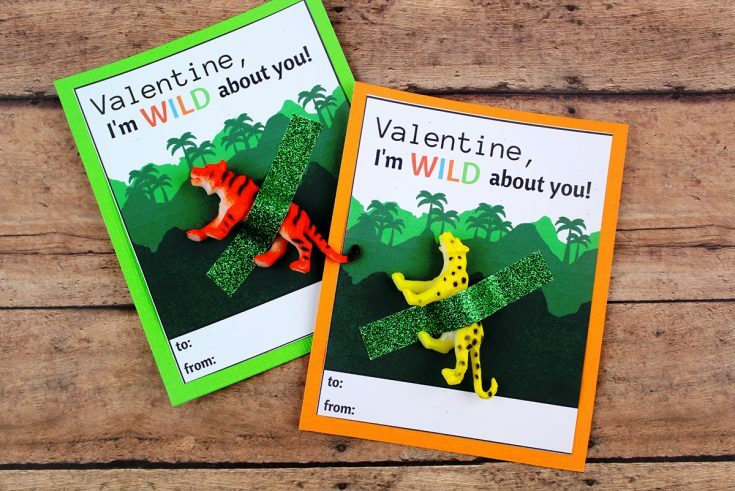 Seriously though, how cute are these? 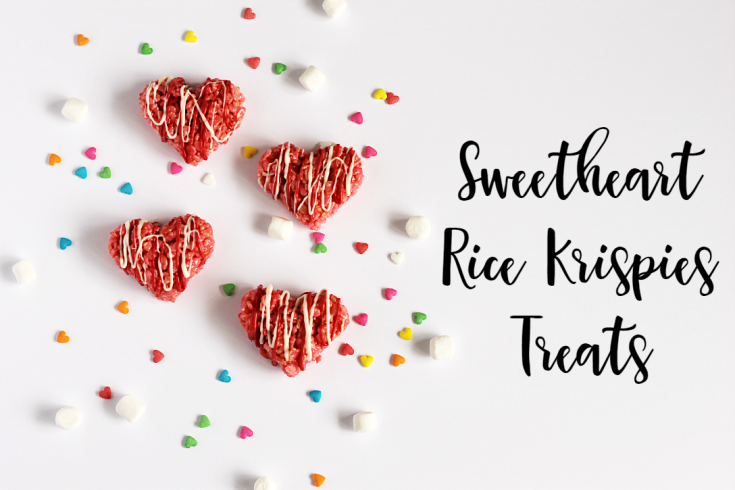 Many schools and parents prefer to send healthy treats on special holidays like Valentine’s Day. 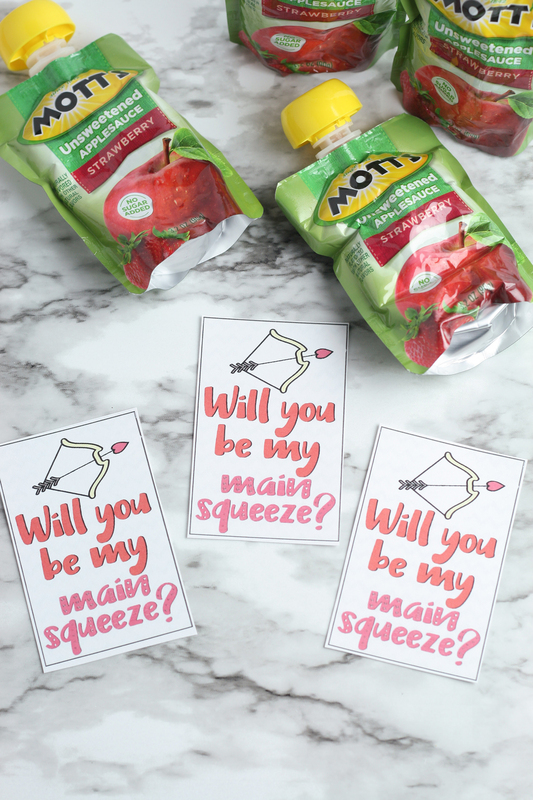 So, if you are looking for a healthier alternative to candy this Valentine’s Day, these cute applesauce pouches are not only perfect, they are done in a flash! 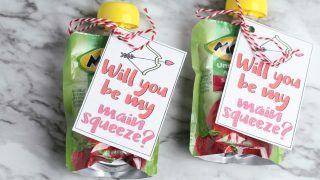 These Will You Be My Main Squeeze Valentine Applesauce Pouches are not only quick to make, but they are also frugal! 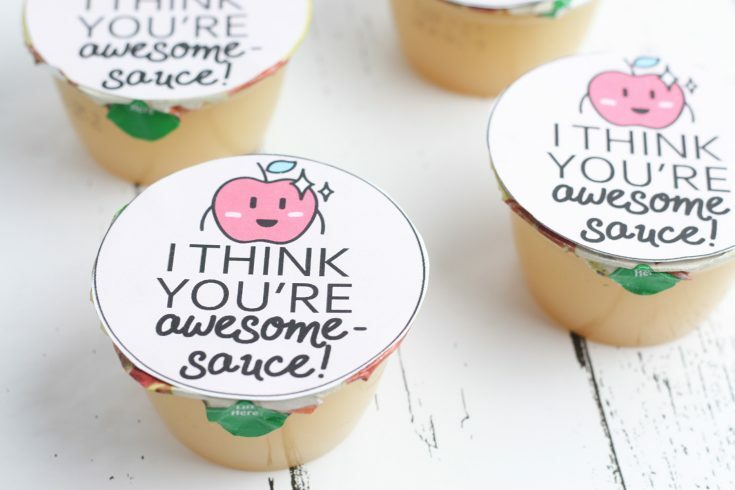 If you have a Costco membership they sell a case of 36 applesauce pouches for under $15. 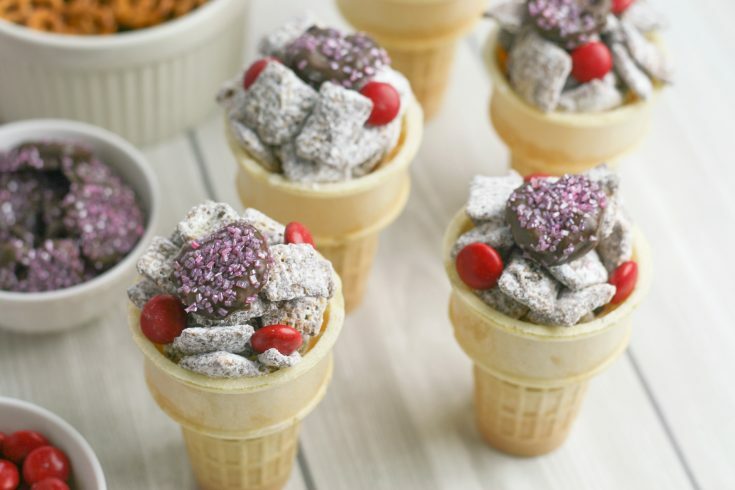 They are organic and the Applesnax brand, one of Bella’s favourite snacks for her school lunch. 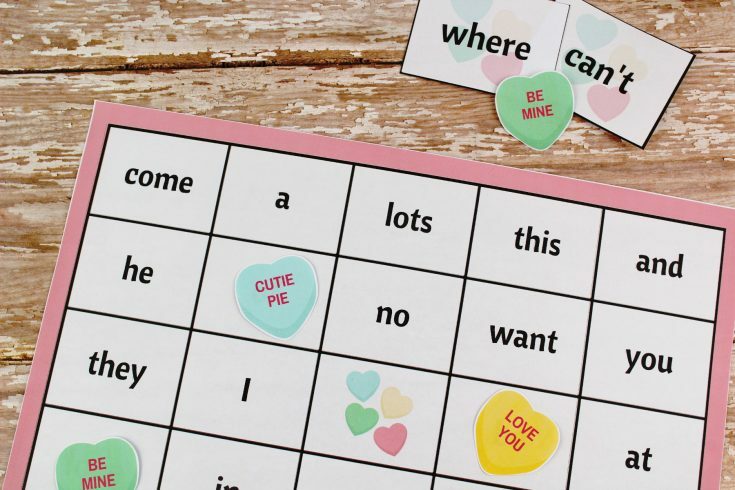 Punch a hole in the top left corner of each card. 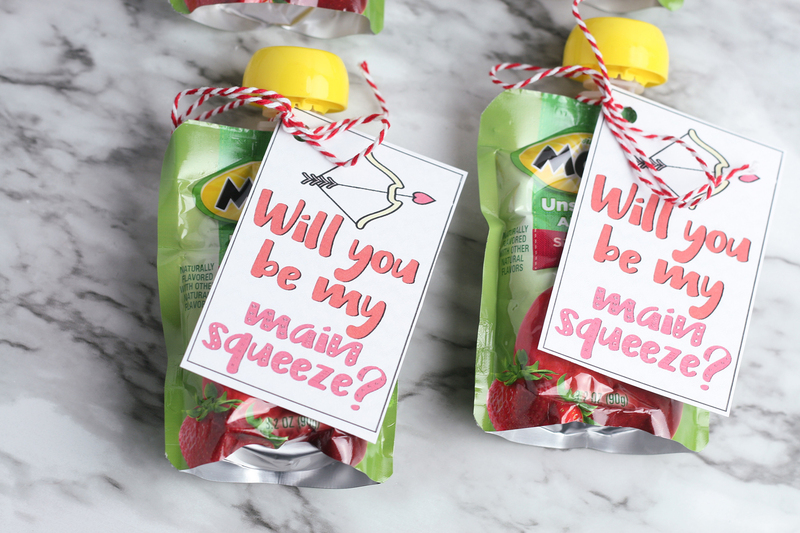 Using a string or ribbon, tie each card onto an applesauce pouch. 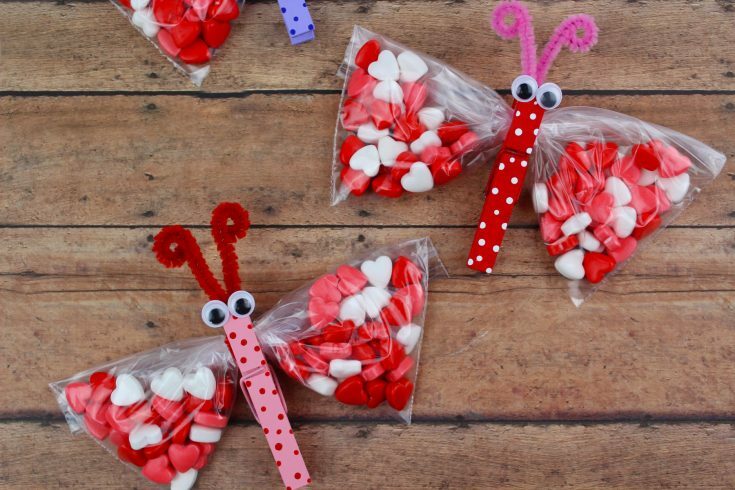 TIP: Costco has the Applesnax organic (no sugar added) 36 pack for under $15 making this a great frugal Valentine’s Day treat! 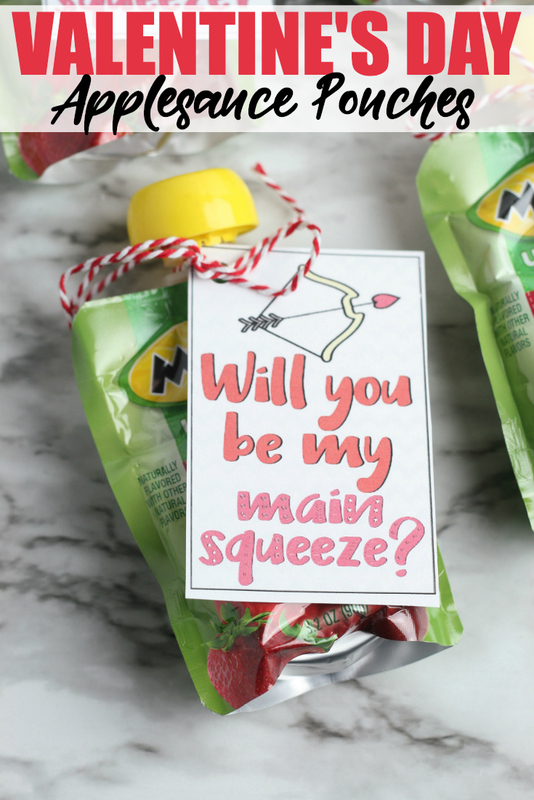 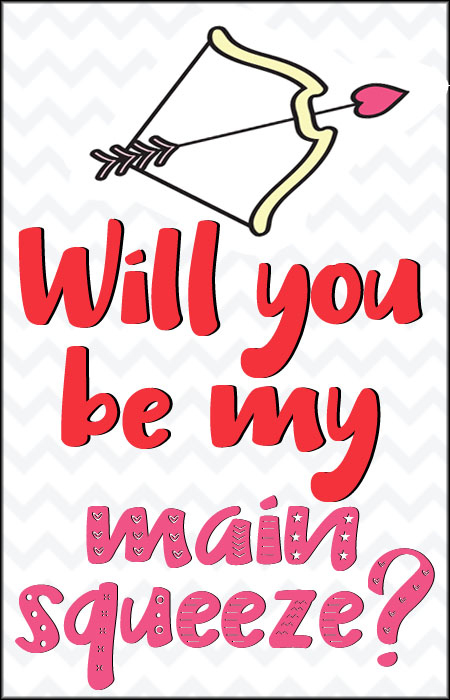 Print out the Will You Be My Main Squeeze Valentine cards. 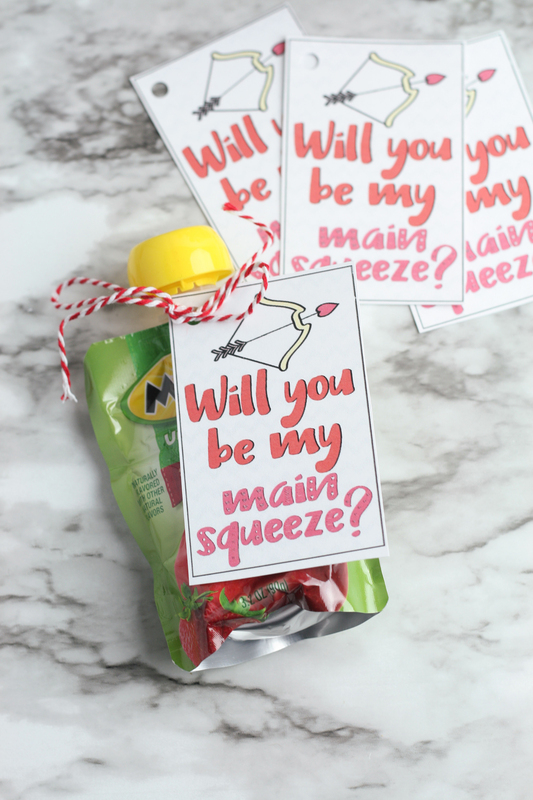 Using string or ribbon, attach the card to the pouch. 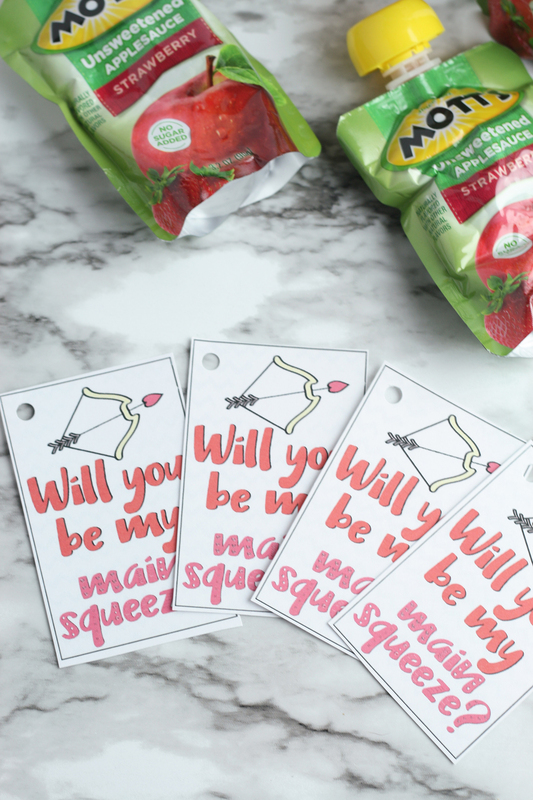 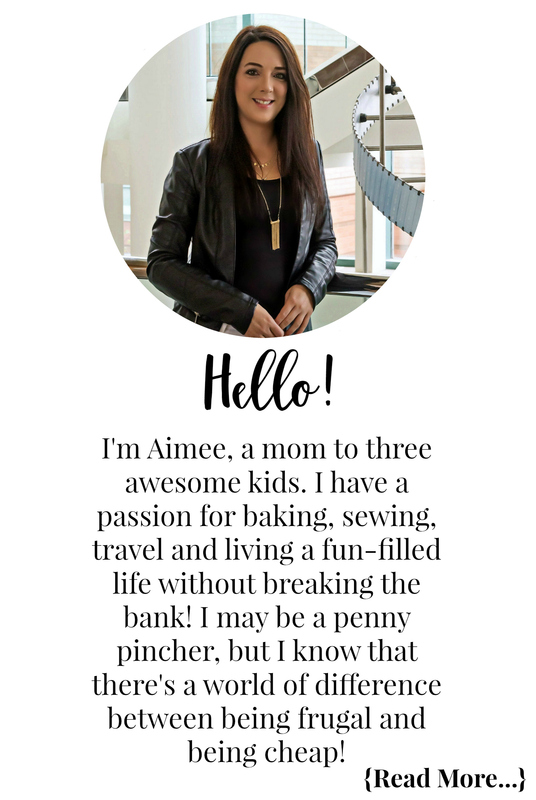 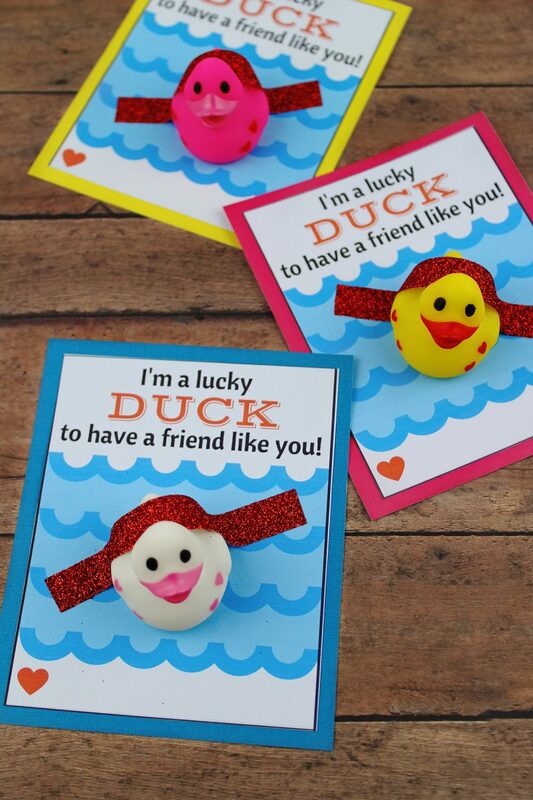 Print these cute cards to tie onto your applesauce pouches.